Looks at some of the sites in Adelaide's West End and traces the history of the buildings on those sites and their uses. 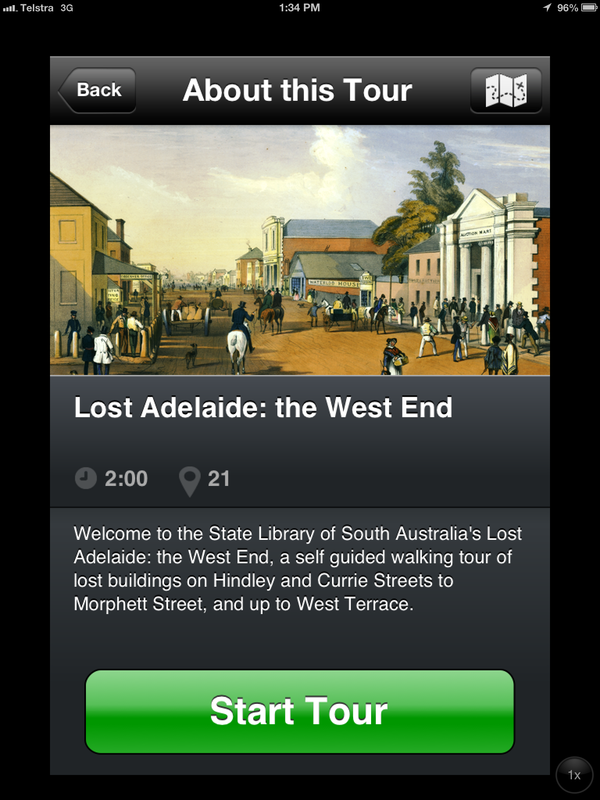 This Library Guide complements the State Library of South Australia walking tour app Lost Adelaide: West End with additional information on some of the featured 20 sites. The walking tour starts at the intersection of Hindley Street and King William Street. A description of Hindley Street in the 1860s can be read below. Sites along Hindley Street are the former Theatre Royal, White Hart Hotel, Flints Ironmongers, Conrad's butcher shop, Cyclorama, site of the first printing of The Advertiser, Forwood Down foundry, West End Brewery and an Automobile Laundry. On West Terrace the sites are the former Adelaide Observatory and the House of Providence. On Currie Street are the sites of the West Terrace Flour Mill, a group of joined workers' cottages. In Light Square is the Cold Stores site. Continuing along Currie Street is the site of the Crown Inn, John Bull Hotel, Currie Chambers, White Horse Inn and Adelaide Steamship Company. 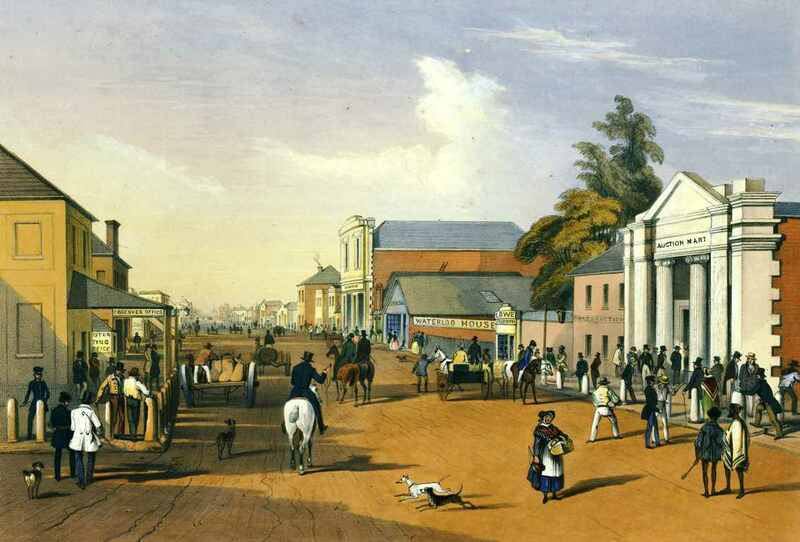 Hindley Street from the corner of King William Street; looking west, 1846 by George French Angas. A recollection of the premises along Hindley Street in the 1860s appeared in The Register of 20 October 1917.